VU+ Solo 2 limited stock only £179! Our BEST SELLING Enigma 2 receiver ever sold! Thread: VU+ Solo 2 limited stock only £179! Our BEST SELLING Enigma 2 receiver ever sold! 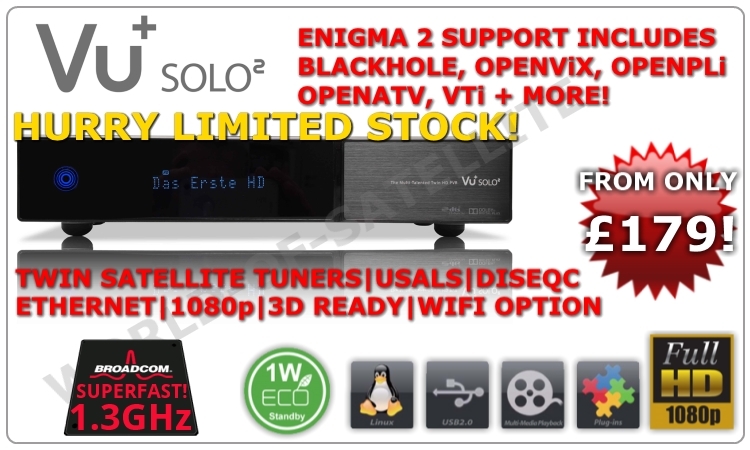 Best selling Enigma 2 receiver we've ever sold!